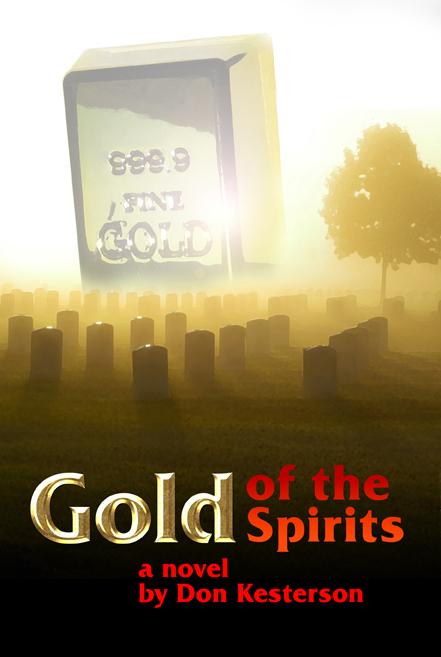 Gold of the Spirits, the brand new novel in Don Kesterson’s Gold series, is now available as an ebook. FBI Agent Tom Warren is ordered to the post-WWII Philippines to eliminate the Communist Huks. The tropical assignment grows hotter as Tom clashes with the Philippine government, the Chinese Communists, the Japanese Yakuza, and, most surprisingly, United States Army officials and the CIA. Every time he nears a breakthrough, he’s sent to Hong Kong or Red China, where the mysterious and deadly Dr. Wang thwarts and threatens him. Tom seeks help from a former Filipino first lady, which provides his first critical breakthrough. The new knowledge is lethal, however, and bodies pile up around him. When Tom and the Philippine military prepare to finish off the Communist Huks, Dr. Wang reappears with one final mission—to put an end to Tom Warren. Purchase Gold of the Spirits as an ebook through Kindle.